By Grabthar’s hammer, we live to tell the tale. Is that a good thing? IT’S TEMPTING TO WANT TO LIVE IN THE PAST. IT’S FAMILIAR. IT’S COMFORTABLE. BUT IT’S WHERE FOSSILS COME FROM!!!!!!! OMG!..it’s the Stay Puff Marsh-mellow Man!!! Hey Chris, there’s no hair *in* your mouth – how’d you cut yourself shaving *there*? Dude, my hair is freaking awesome!!!! Remind me to ask Ben Stiller where he got that hair gel next time I see him. Khaaaa… oh wait sorry wrong series. When you realize the Winter Soldier is useless in the African summer. 1) Will you guys please hurry up with that Fox merger!? We need those reinforcements NOW! 2) Call the Fantastic Four! And make sure they bring that handsome young stud who bursts into flames. What!? No. Of course I’m not trying to get a second paycheck. Why do you ask? 3) It’s times like this that make me wish I’d stuck to punching out fake Hitler. Bob Iger has some questions about some dirty magazines you owned when you were fourteen. A big, giant mouse just devoured everything in the battle battle field and picked its teeth with Thanos. Gotta make it to the Star Trek auditions before Pratt beats me to it! Get the president on the phone. It’s time to call in…….the Space Force!!!! “Not me!”, replied Captain America. Out of the way!, I have to go really bad! Is it too late to join the Justice League? And Bruce, it’s time to get angry. Bruce, where you going?! Bruce!!!! When the previews show Hulk fighting by your side, but only Bruce shows up. 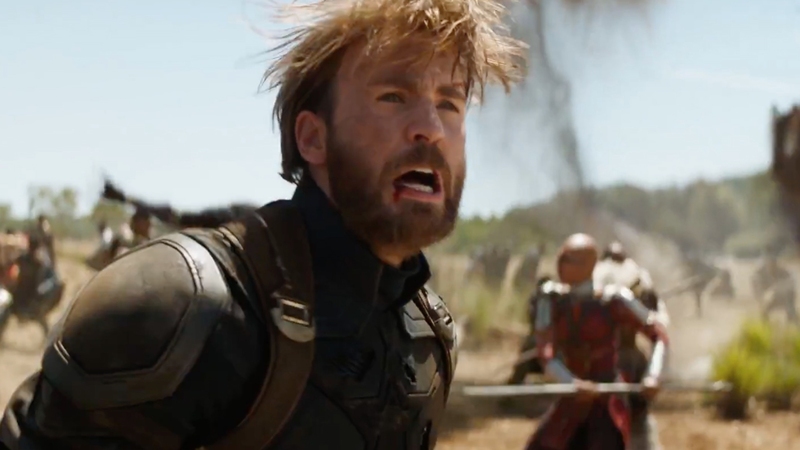 When you lock eyes across the battlefield with your Bucky.